Bluestacks Multitool – A tool by which you can have your BlueStacks for Windows rooted automatically in less than 2 minutes! Follow the instructions below to get started, any suggestions/comments are welcome. WARNING: TRY AT YOUR OWN RISK. We are not responsible for any brick or data loss caused by this tool. Though its easy to use, but still we insists you to take backup of your data before doing anything. 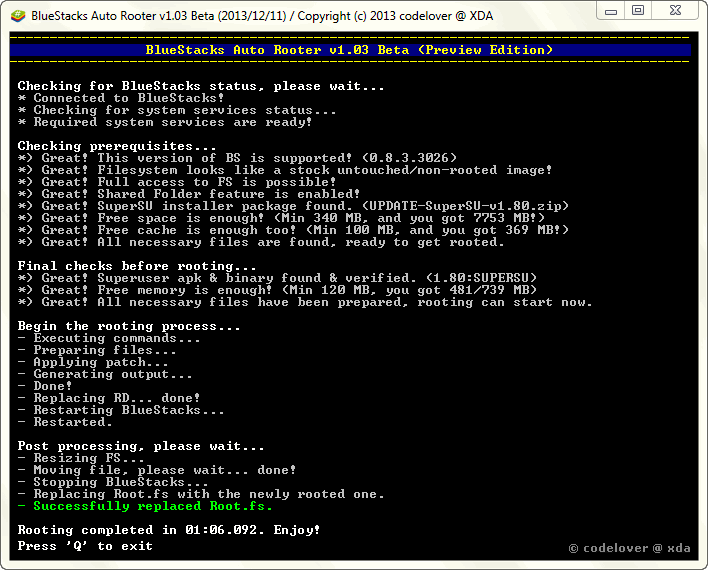 Bluestacks Mutitool are set of tools which were made to unlock some special features of Bluestacks App Player. 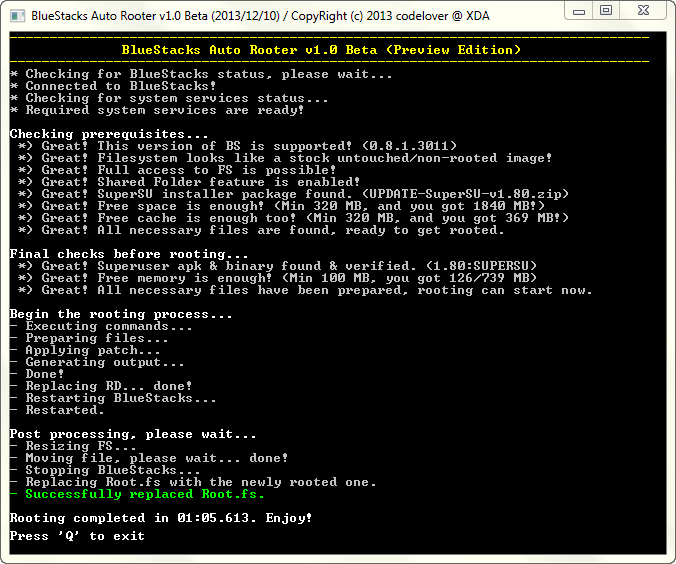 With this application you can carry out task like root, unroot, remove debloats etc in Bluestacks App Player. 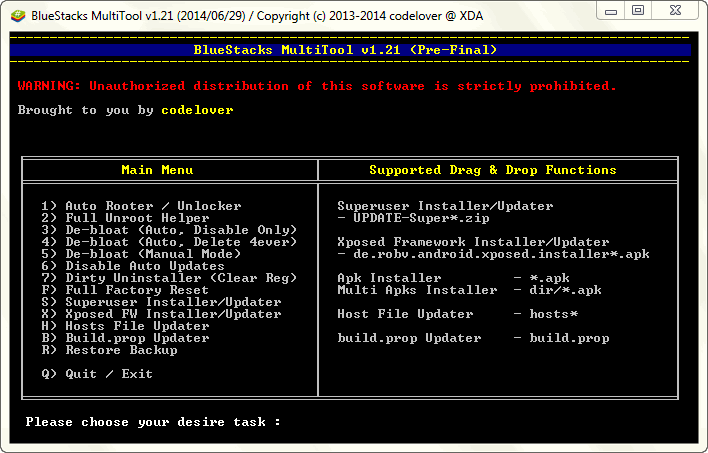 You can see all the features present in bluestacks multi tool below. BlueStacks App Player Beta for Windows v0.7.4.x – v0.8.11.x only. Some free space on your hard disk for temporary storage and backups. * Feel free to report your working configuration so that i can add to this list. 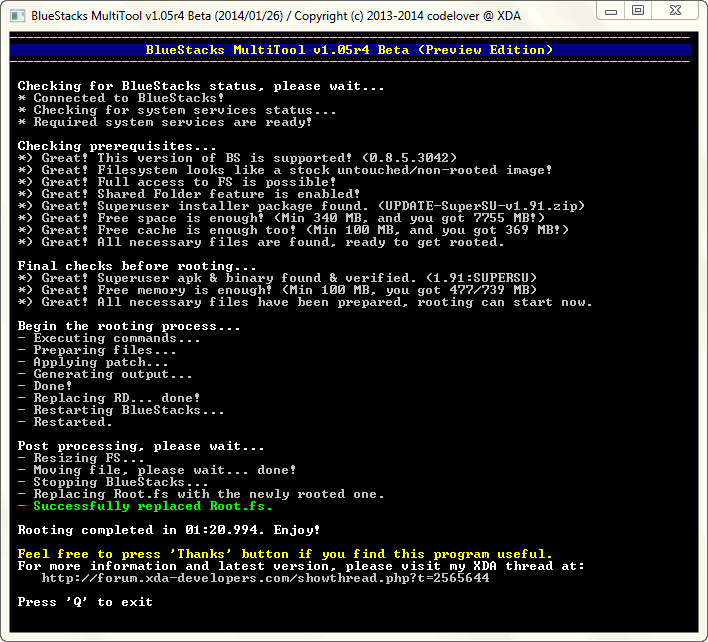 BS MultiTool v1.21r1 – Bugfix release. * Note: Official download link for 0.8.11 is gone, above are mirrors; check downloaded file’s size before you run it. BlueStacks Net Blocker v1.03 – Added systray support.